Forums » Everything Tyria » RP Fashion! 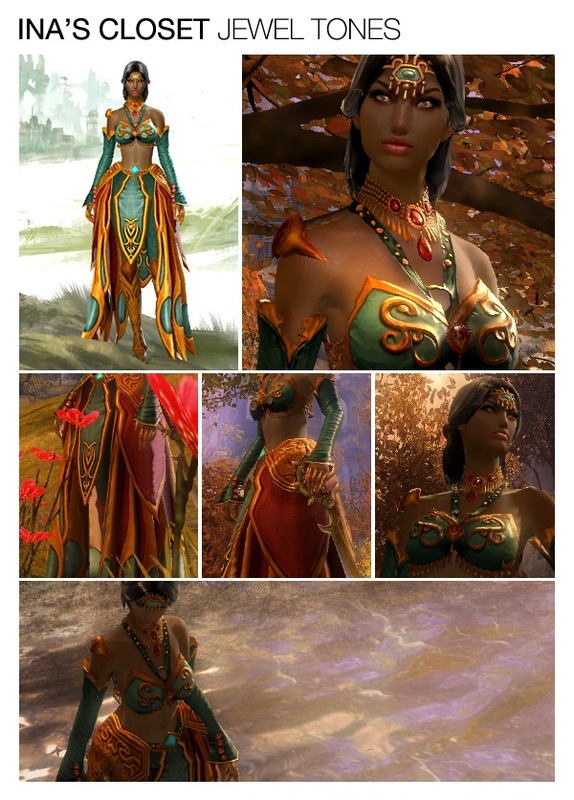 I was scouring the Dye Addicts topic and found myself wishing I could see more pictures of the different outfits put together by all the creative RPers out there. I couldn't readily find a topic with all that using the search tool - so I went ahead and made it myself. Is that's the point of the Mugshot thread? To display characters and all their fancy duds? "I promise you won't ever have to worry about whether you're doing the right thing or the wrong thing. Because we will do the only thing." Yeah, but no one (edit: well, few do) really posts in detail what they're wearing. Also, it'd be nice to know what occasions they have certain outfits for - just for idea sharing. But I understand if this seems a little redundant. Just wanted more detail instead of PMing people or having to ask people every time I see a nice outfit...it'd just be nice to have one source of info and pictures. I like this idea. I'll be posting up a few shots sometime tonight, once I get a chance to get back in game. I take way too many screenies of outfits so if I start posting I won't stop. 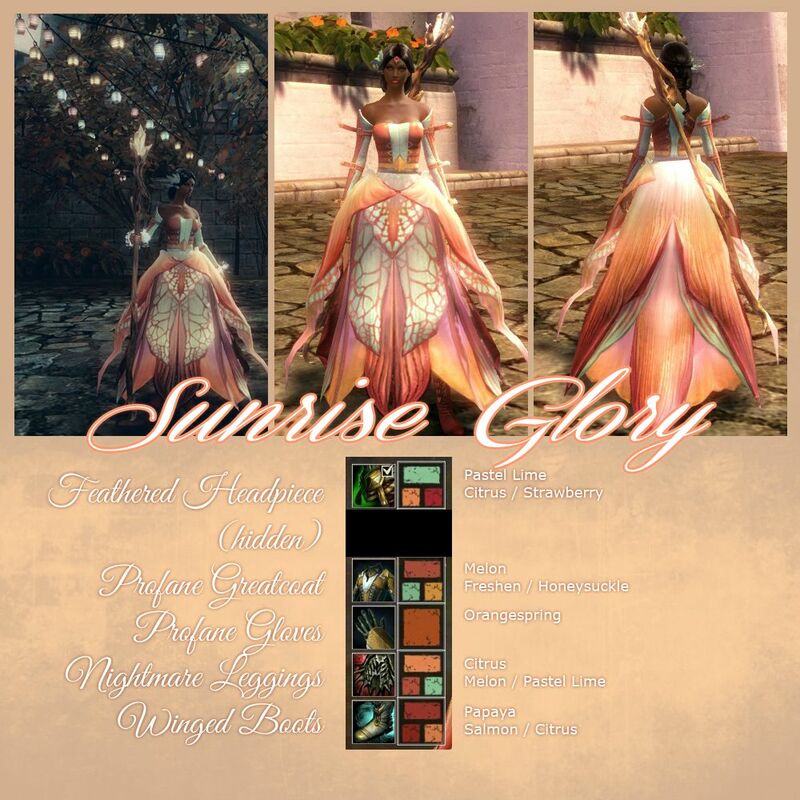 However, I do keep an album in my enjin gallery with various armor combinations and dyes that I put together for Lux. I think there's over 60 different outfits in there so far, but yes, lots of potential in terms of fashion in this game, and the most varied I've seen in any MMO so far. I include the icons so people know what piece is what, as well as the dyes. At first I was adding the names of the dyes but enjin only lets you type so much in the description. Then I got lazy anyway. I should note that I have a Lux for ever armor class so some looks are Medium armor, though I haven't really taken many screenies of all the medium looks yet, or any of her heavy armor. Soon! Oh my god, so many beautiful combinations! I would never have thought of using the skirt from Arah in that way, Lux. Girls, I might have to borrow (shamelessly steal and copy) some of these ideas. Holy cow, nice stuff guys. Want to know what popped into my head? 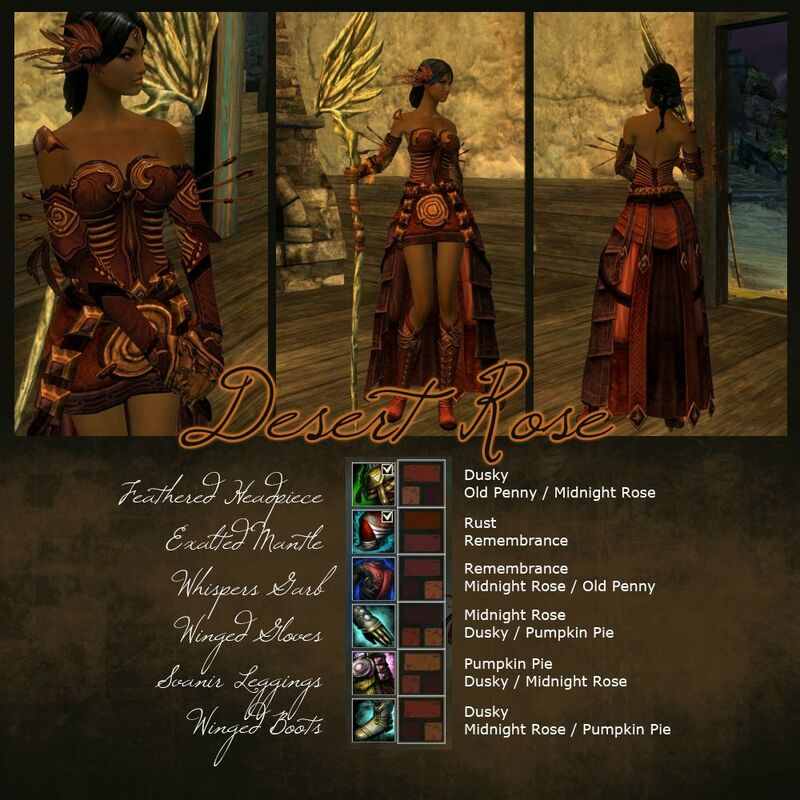 People like Ina and Lux (and others) putting together a Tyria fashion mag. Set up screenshot photoshoots on locations with different character models, etc. Combined with some photoshop magic I bet you guys could create something really cool.